Lely's celebration of 25 years of automation continues at the World Ag Expo, the largest annual agricultural exposition of its kind, where more than 1,500 exhibitors from around the world will be encouraging the newest conversations, innovations and inventions in the industry. This year, it will take place February 13 - 15 at the International Agri-Center in Tulare, California. In 2017, 105,780 people from 43 states and 71 countries convened to take advantage of the 2.6 million square feet of exhibit space that displays cutting-edge agricultural technology and equipment. 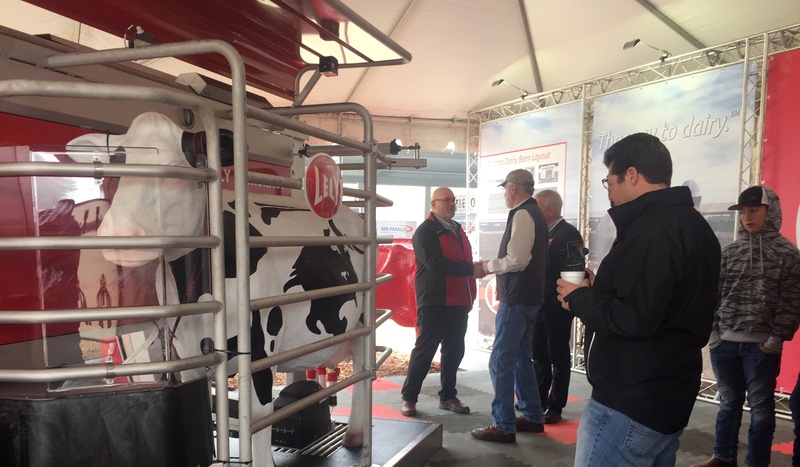 Lely North America is proud to be a part of the marketplace where attendees and farmers can be positively impacted by increased efficiencies and continued conversation on how to improve the dairy industry. We have a new location this year and will be south of the Farm Credit Dairy Center in DS64 and 78. You will have the opportunity to see live demonstrations of a milking robot and a Juno feed pusher. We are very proud that our dairy products are providing producers with a more sustainable, enjoyable and profitable future in dairy and want to show you exactly how that process works. You can talk with leaders of Lely North America about how Lely is changing the dairy industry today and how we have helped change it over our 25 years in robotic milking. You will have the chance to view various barn layouts and how they will work in conjunction with automated milking systems. You can be among the first to hear an industry-first announcement from Lely North America by stopping by our booth on Wednesday, February 14, 2018, at 10:00 A.M. PST. It's something we're very excited about, so we hope to see you there!